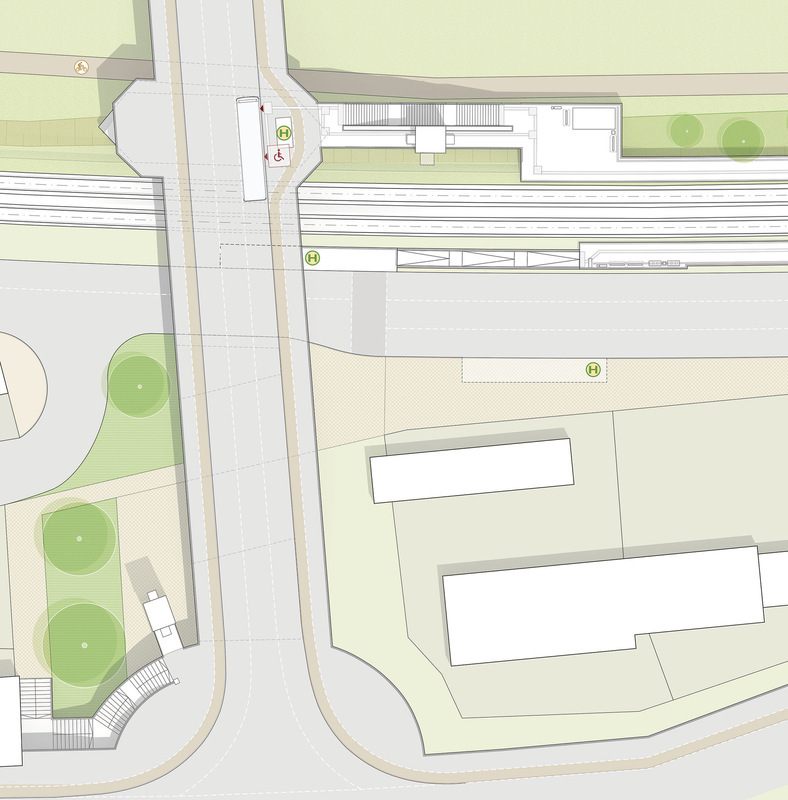 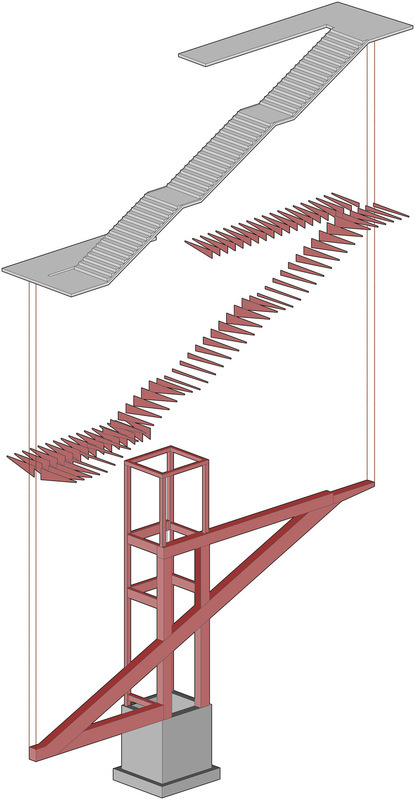 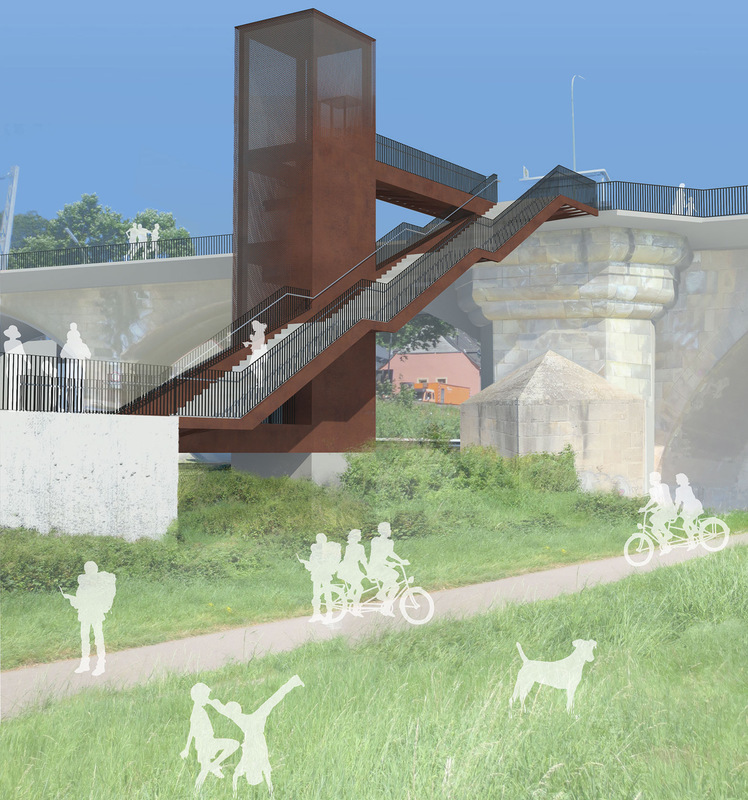 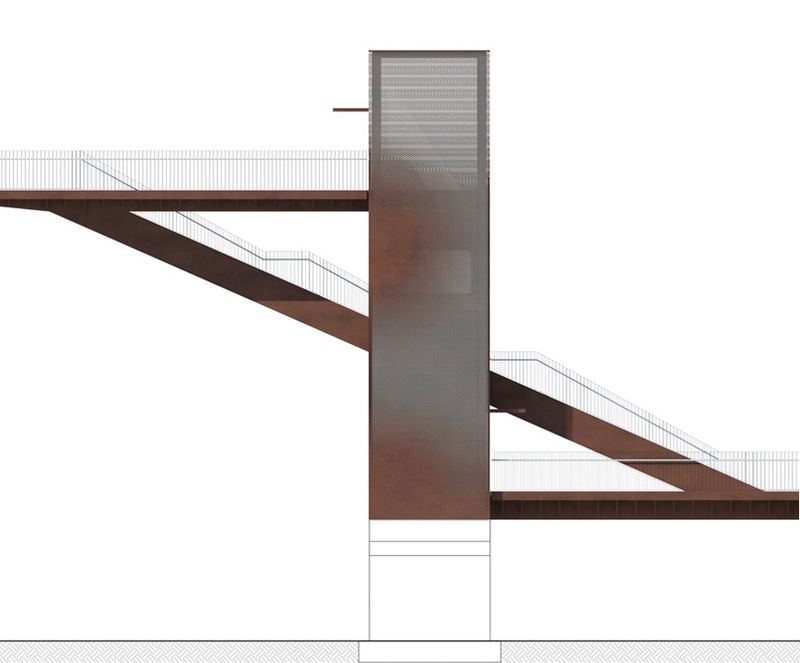 The aim to connect the new planned Trier-Pallien S-Bahn station with the historical Kaiser-Wilhelm-Bridge requires an accessibility system with a stair and lift on the north side and a lift on the south side. 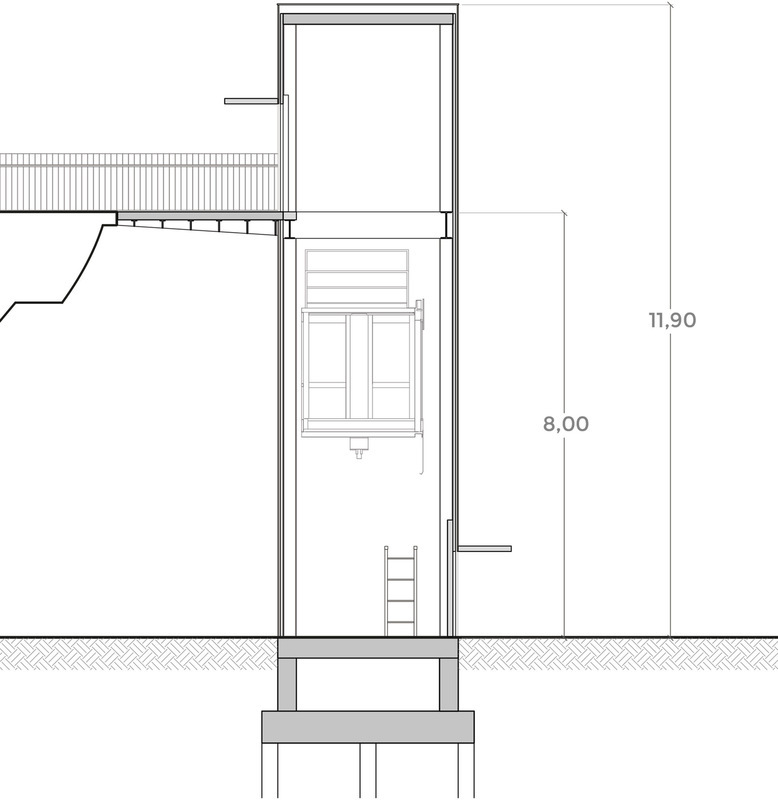 With its simple clear structure, elegant shape and strong materiality, the project seeks a coherent, distinct identity, exalting the adjacent monument without overpowering it. 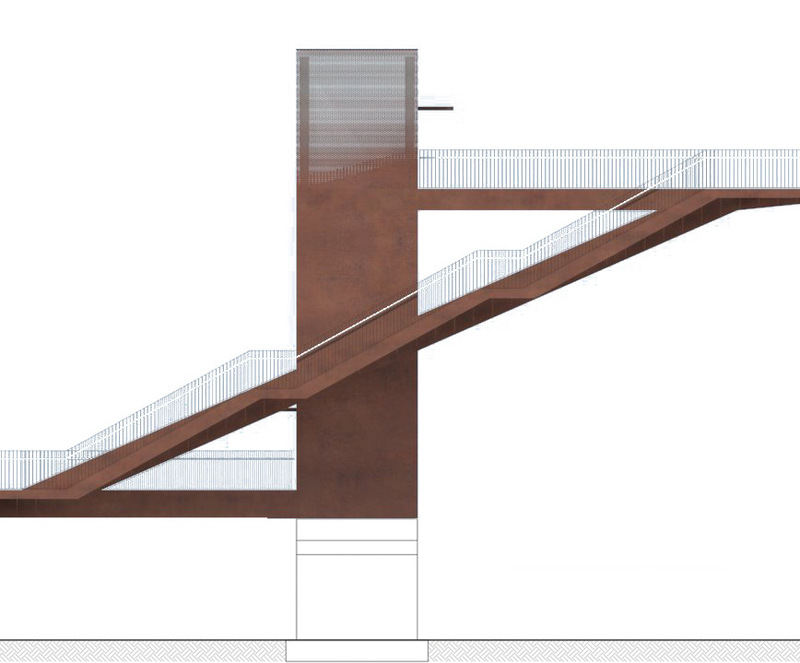 The corten steel wire cladding possesses a rusty, seemingly aged surface, which provides a balanced contrast with the sandstone bridge; moreover, its varying transparency guarantees the structure a marked lightness.